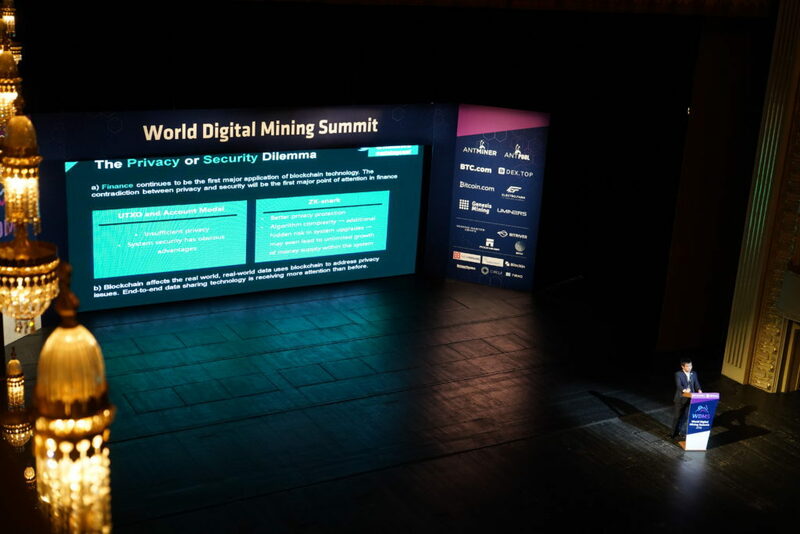 World Digital Mining Summit Begins with Powerful Speeches and the announcement of new 7nm Bitmain miners! 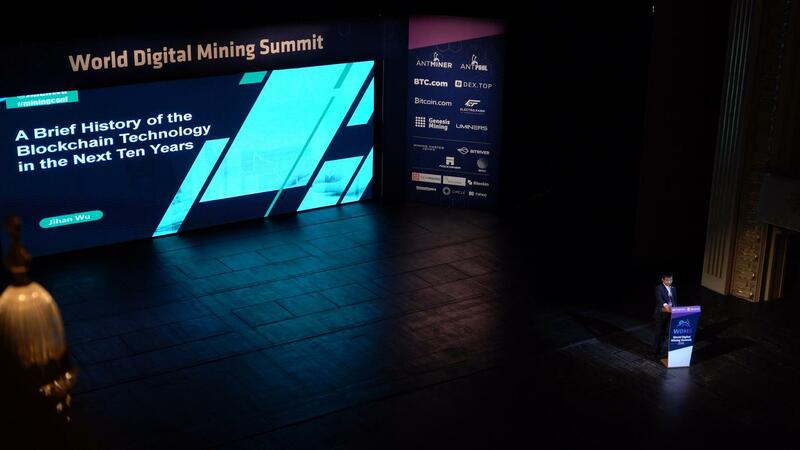 After much anticipation, the World Digital Mining Summit has begun! Hundreds packed into the historic and ornate Opera House in old Tbilisi, Georgia, to welcome what could be a new regular event (and location) on the annual bitcoin and crypto event calendar. 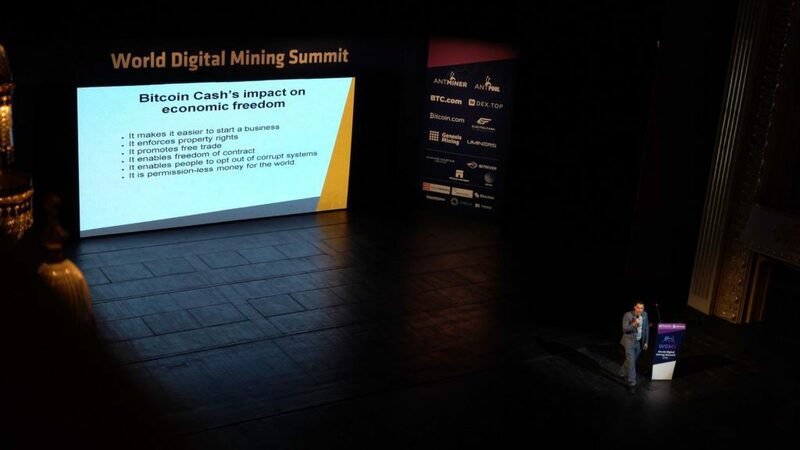 MC Emilia gave a spirited opening that told the history of Bitmain and BitKan, thanked the Georgian government for its support of the event, and mentioned the significance of Georgia in the Bitcoin and cryptocurrency mining world today. She referred specifically to Bitmain’s advances in the AI field, and BitKan’s reach in community building and data services, before introducing the event’s main speakers.”Georgia is a country at the intersection of Europe and Asia.” It’s an important stop on historic trade routes and has more recently played a large role in cryptocurrency mining operations.Ruby Chen from BitKan thanked everyone for coming, and the country of Georgia for its hospitality in hosting the event. Bitmain CEO Jihan Wu gave a lengthy and detailed presentation on where he sees the blockchain industry going in the next ten years. Wu was clearly the man the crowd had come to hear, receiving thunderous applause for his entrance and exit from stage, and the major announcements he slipped into the presentation at surprise moments.Speaking of which — although it came later in his speech, it was Wu’s announcement of Bitmain’s new BM1391 ASIC chip that drew the biggest cheers and made people jump out of their seats. It is a mining conference, after all. The BM1391, which will go into mass production “soon”, is Bitmain’s next-generation 7nm chip. The chip will include over a billion transistors, and lab testing has demonstrated a power efficiency to be as low as 42 J/TH. We are already very exited about this new chip and we hope that also the first batch will have an efficiency as low as 42J/TH. As Bitmain and Canaan now share the same chip manufacturer, the only difference is in getting the most out of the chips. The new Avalonminer 921 doesnt have such a great efficiency as the new Bitmain (S11 ?) but they even claimed something as low as 30J/TH for the next models. Anyway it’s Bitmain’s best-ever-performing and highest-efficiency mining chip, based on ever-finer processes that are a driving force of semiconductor innovation.Bitcoin is ten years old now, Wu said. It’s gone from very few people knowing about it, to the multi-billion dollar industry it is today. He highlighted a number of key points that will be concerns for technology companies such as Bitmain, and for the industry as a whole. One was the privacy and security dilemma — he compared Bitcoin’s UTXO and account model, with strong security but insufficient privacy, vs. a ZK-snarks model with more privacy but greater risks regarding system upgrades, and control over the money supply. Compressing transaction records (in concepts like MimbleWimble) could also enhance privacy.Wu stressed the importance of technology neutrality, advocated for further study before complex legislation is drafted to manage the industry. Combining hardware acceleration and parallel computing technology would make life easier for large data centers, who could add servers linearly to their networks without needing software architecture changes. Wu noted blockchain technology would produce specialized technologies to extend applications in the real world (eg: food traceability, logistics, tourism). However he warned quantum computing is coming, and cryptographic algorithms would need to change to adjust to a quantum world. Meanwhile, advances in artificial intelligence (such as Bitmain’s own Deep Learning technology) would also change industries — even in examples as mundane as different companies and parties being able to share data. It’s not as simple as people may think in a world where everyone uses separate and often incompatible systems. Other issues Wu mentioned in his speech were: the problem of identity in cryptocurrency (proving ownership of lost private keys, or people using exchanges as wallets because they felt more like bank accounts) – maybe a hybrid system is possible, but we need to improve the interface. BCH after November will have a new op-code where users can send BCH to a “handle” instead of an address. He said Bitcoin Cash (and Ethereum) need more capacity for smart contracts, reducing difficulty of developing the contracts, and applications that can run autonomously.On the current state of the market, Wu said several projects failed after the ICO craze subsided, and that window of opportunity won’t come around again soon. Meanwhile, mining during a bear market could have its advantages, such as lower costs and a more stable ecosystem. “I don’t know how people can stand still in the Bitcoin industry,” Roger Ver said, noting that bitcoin must be used popularly as money before its advantages can be realized. He spoke again of the importance of economic freedom in improving human lives and health — countries with the greatest freedoms are most prosperous, while those with the least languish. He compared photos of Hong Kong and Havana in the 1950s versus today, showing very little change in communist Cuba against the dramatic transformation of Hong Kong. “If you get the economics wrong, it doesn’t matter how good a computer programmer you are. Because Bitcoin is fundamentally an economic system.” This was, as expected, a jab at Bitcoin Core and the Blockstream model of small blocks, high fees, and settlement layers. Only large transaction volumes at high speed and low fees would spur adoption, Ver said. Ver thanked Jihan Wu for translating the original Bitcoin whitepaper into Chinese, and spoke of their friendship in the years before it all grew so big. And he reminded the crowd that BCH is currently the only cryptocurrency ready to serve the entire world from his point of view. I didn’t like that bashing of BTC which roger is doing at every speech and I don’t agree with most of the things as most of the quotes he mentioned were used totally out of context. Anyway, he is promoting BCH pretty good and sounds reasonable, even though I think, he should focus more on why BCH is superiour and not why BTC is just bad and the worst thing ever, from his point of view. 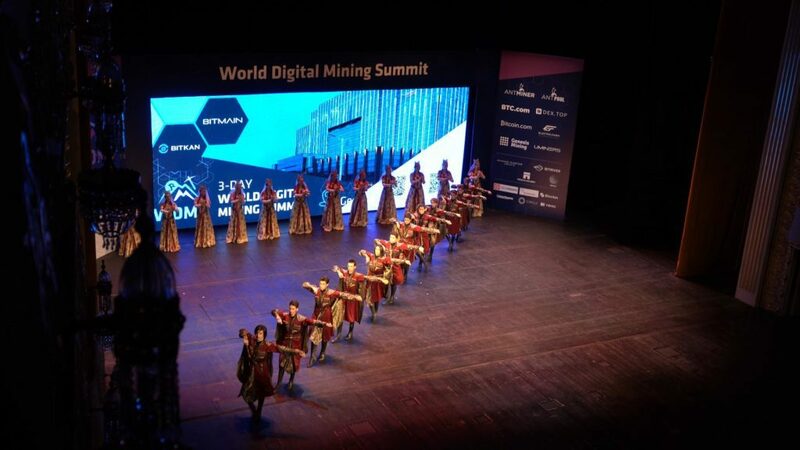 The opening speeches ended with some nice georgian ballet and after that the audience went for a welcome dinner to a fancy restaurant to celebrate the kickoff of this new Event and Bitmains new miners.